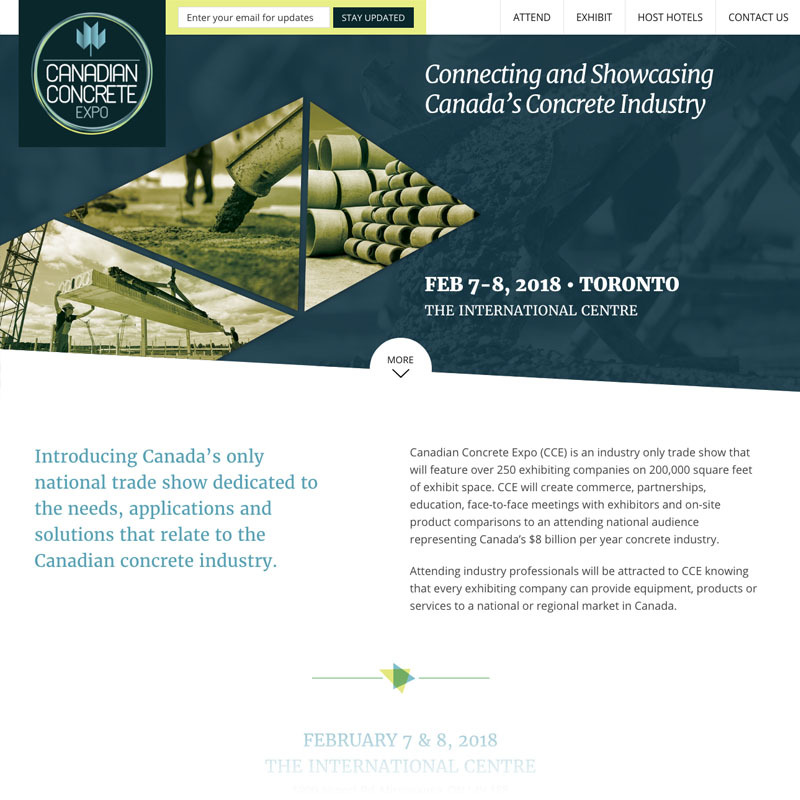 We helped the Canadian Concrete Expo establish a new brand identity, design professional B2B marketing collateral, and develop an impressive web presence. We developed a bespoke WordPress website focused on providing a clean and simple user experience. The website simply looks great on desktop, tablet, and mobile devices with attention to detail in every area. Our development process also considered performance and accessibility standards. 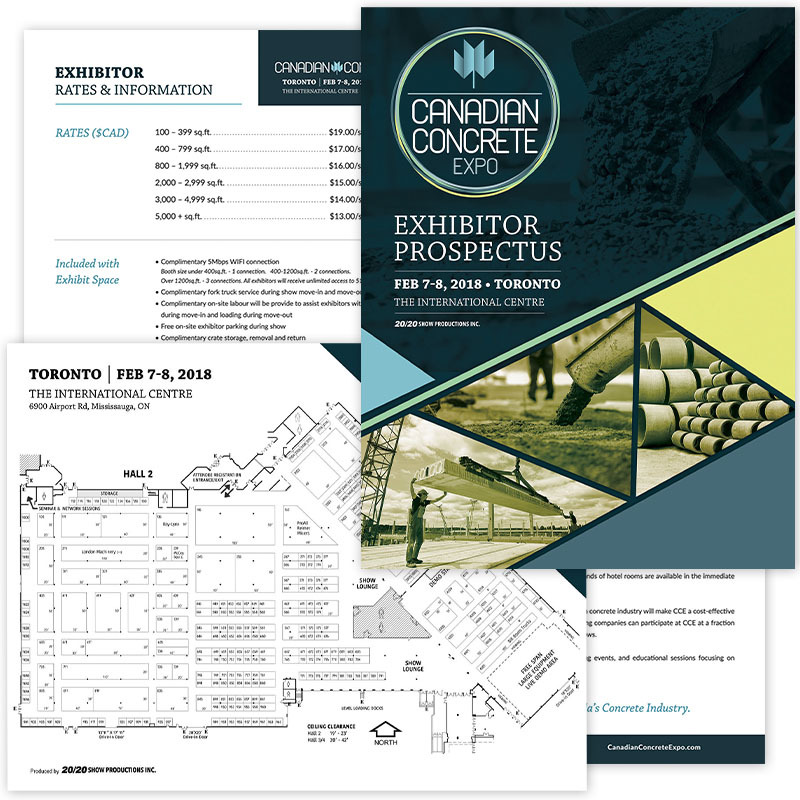 Our design team created a consistent corporate brand image for the Canadian Concrete Expo, including a very large, detailed floorplan. We'd love to help your business and be a part of your growth and success. Let's talk about how we can best work together. Copyright © 2010 - 2019 Stature Marketing Inc.